The legal profession has been called one of the least diverse in the country. According to a 2012 ABA demographics report, 88 percent of lawyers are white. Additionally, the 2015 “Law360 Minority Report” revealed that fewer than seven percent of minorities are law firm partners. 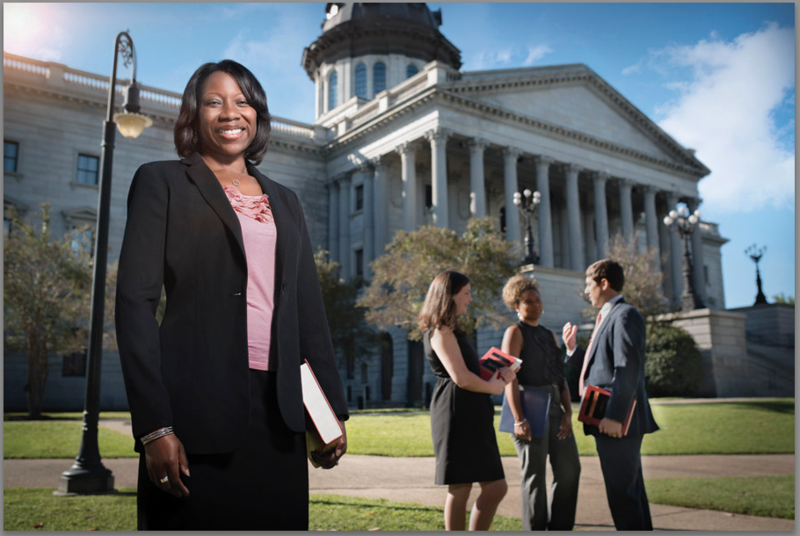 And while countless attempts have been made within the legal industry to ameliorate the problem, University of South Carolina School of Law professor Eboni Nelson believes the key to real change starts with law schools. Nelson, who has written extensively on affirmative action in higher education and the constitutionality of race-conscious student assignment plans, was recently awarded a grant by Access Group to determine if there is a relationship between the race of first year law students and their race-neutral identity factors, such as educational experiences and family circumstances. She hopes to learn whether law schools can create a more diverse student body and provide greater educational access to students of color without having to ask specific questions about race. While she admits there has been an overall increase in minority law students during the past few decades, Nelson says many law schools still suffer from a lack of diversity. And affirmative action programs, which often aid with diversity issues, are not as prevalent as they used to be. They have also been attacked as unconstitutional in cases like Fisher v University of Texas, in which a prospective white student, Abigail Fisher, was denied admission and challenged the university’s admissions process, stating that the consideration of race was discrimination. While Fisher did not win, the case crystalizes the need to find other means of admitting more minority students. Nelson will conduct her study along with Ronald Pitner, a professor in the university’s College of Social Work, and Carla Pratt, associate dean for academic affairs and educational equity and professor of law at Pennsylvania State University Dickinson School of Law. They expect to publish their results next spring.